Beautifully maintained, elegant home in the popular neighborhood of Hymesa Estates in Killeen. A built in BBQ grill in the large back yard, surrounded by a wood privacy fence. Just imagine the summer fun! This home boasts both a formal dining room and an eat-in kitchen with a breakfast nook. There is plenty of counter space, and an abundance of cupboard space for all of your gadgets. The master bedroom is large enough for a king size bed, and master bathroom is fit for a king as well! This well-maintained has lots of curb appeal, including a large, lush front yard, beautiful brick and shade from the trees. Drive by and see for yourself! Seller is motivated, and all offers will be considered. In searching for buyers lately- for homes for sale in Killeen Texas …wow I have ran across some GEMS! There are several very nice foreclosures on our market right now- and some are virtually “move in ready!” I have seen many single family homes in our first time buyer range of around $80K to $120K – and that put them right in the middle of the competition of homes for sale in Killeen. 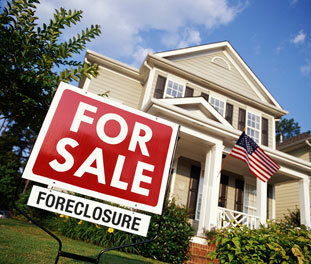 Typically the sellers of these foreclosures will pay for surveys, title policies and sometimes even the home warranty. It all depends on the asset manager handling the seller’s side of the deal. We have even been able to negotiate for buyer closing costs and concession in some cases. Homes are generally priced according to their condition- so if in good shape – you might not find them as deeply discounted as ones needing a substantial amount of repair. For instance, an investment buyer picked up a home in a typical $110K – $120K neighborhood the other day for $75K! It needed about $12K in repair work- but if you can do math- its not hard to see he got a great deal! This particular home would not have worked for someone trying to use VA or FHA financing- but those deals are out there too. Wishing all mother’s and those who play the role of mother for others…(I know a few of those!) a very Happy Mother’s Day. As for me- I am enjoying my first mother’s day as the mother of a DAUGHTER! My boys are 16 and 20…and last September we welcomed little Sadie Alice to our crew. Having a little girl has brought a whole new meaning to being a Mom. I just returned from delivering a gift to a lady who has been more of a mother to me in the past 7 years – than I could have ever wished for! Thanks Barbara– I love you so much! Not only was she the person who gave me my start in real estate – but she became my mentor, then my friend and now I consider her family. Then there is Sadie’s Nanny- Brittany. She isn’t technically a “mother” yet- but she is the “next best thing” to one for my daughter. All mom’s should have an “Assistant Mom” – and this girl should be heading up the class for sure! Thank you Brittany for sharing your love and time with our family and for taking such amazing care of my baby girl. Hope everyone enjoys their kids and family this weekend- and ALL weekends! Happy Mother’s Day to all! Attention INVESTORS! Below is a link for today’s active & available residential investment properties in the Killeen / Fort Hood area in Central Texas. We currently are assisting several investment buyers from in and out of state with purchases – but there are still plenty to go around!